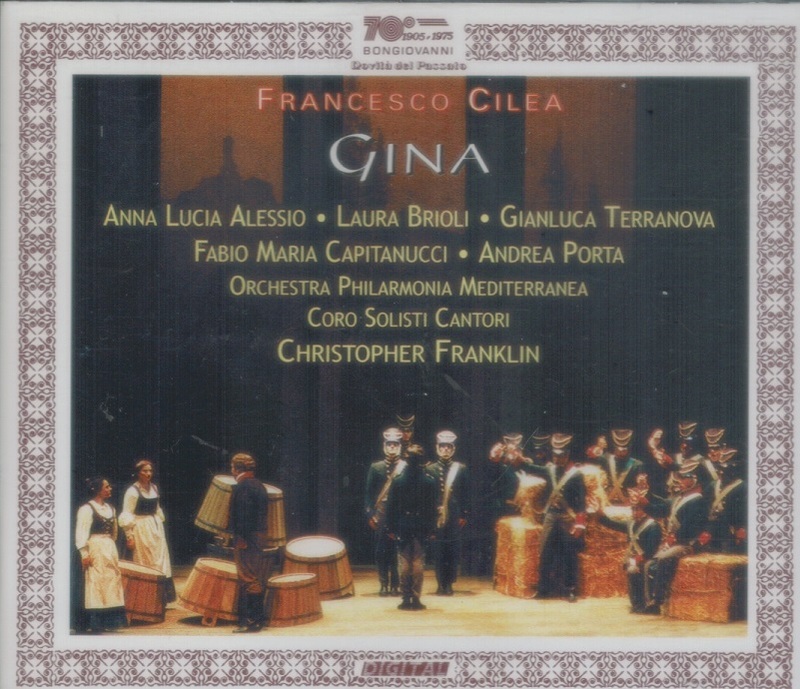 “Cilea wrote very few operas, and no one has ever claimed that any of them was a work of unmitigated genius. 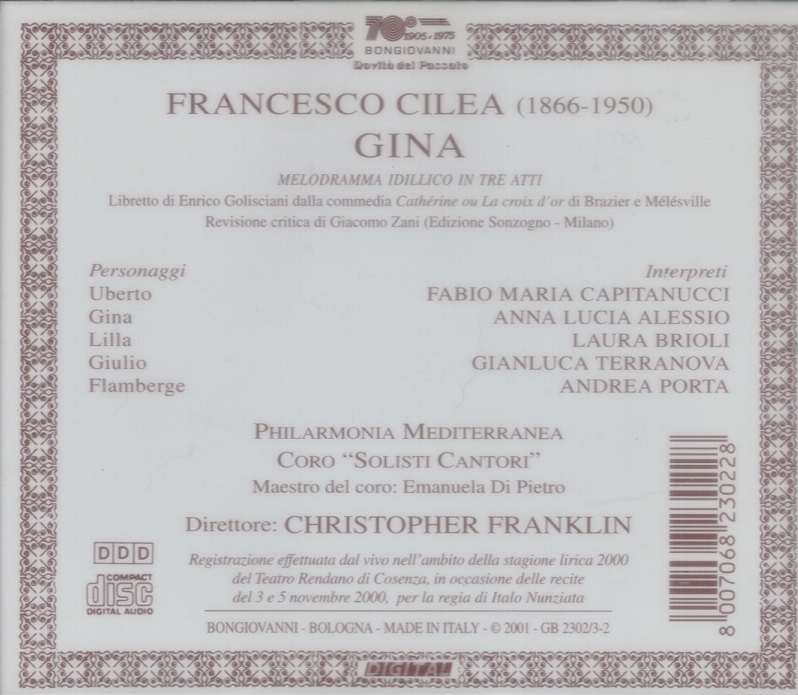 L’ARLESIANA has its fans (the big tenor aria, ‘E la solita storia’, is magnificent), GLORIA was recorded once and I seem to recall being entertained by it (but not enough to summon up details), and everyone loves ADRIANA LECOUVREUR, with its two gorgeous melodies and unabashed emotionalism. 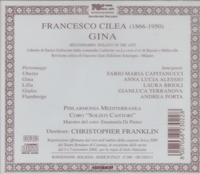 GINA, recorded here for the first time (taped live in November, 2000) was Cilea’s first opera. The work is a countryside comedy about a girl (mezzo, Gina) who promises to marry the man (tenor, Giulio) who takes her brother’s (baritone, Uberto) place in the army. It doesn’t matter that the plot is as deep as a teaspoon, but the music certainly doesn’t have to be as uninspired as it is. The tenor hero is in the opera only for the first 10 and last 20 minutes and he has the best music (and oddly, is the best singer on this set).